If you need extra space between your solar generator and your solar panel, this 20 foot long solar extension cable will do the trick. 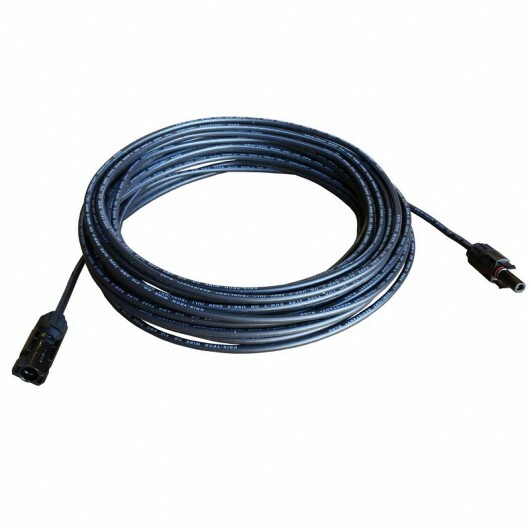 This solar cable is 10 AWG waterproof, UV resistant, safety tested and very durable. It comes with standard MC4 connectors, positive on one end and negative on the other, making it compatible with all Solaaron products that have MC4 connectors as well as any other MC4 connectors industry-wide. Each cable is 20 feet long, string as many cables together as you want to get the amount of distance that you need for your solar generator setup.